This year we sought to peel away curriculum clutter and refocus on what is key for our students to learn in order to prioritise first and foremost our development as inquiry teachers who foster and encourage the inquiring minds of our students. As a College we adopted the Kath Murdoch inquiry cycle as this allowed for a consistent approach across the PYP, MYP and NTCET on each of our four campuses. 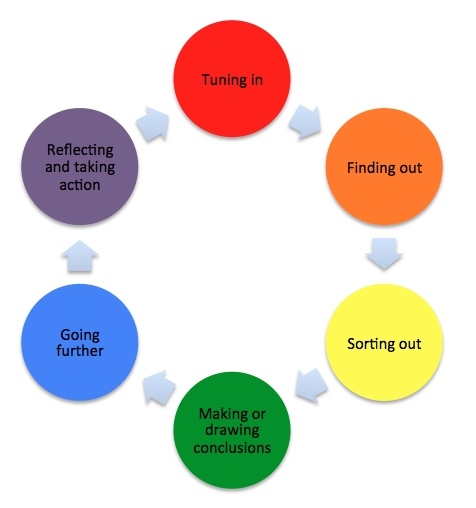 The first part of our inquiry cycle is Tuning in, where we establish prior learning, unpack the IB MYP concepts, global context and inquiry questions and lay the foundation for that unit of work. An integral component of tuning in is to engage the student’s heart in their learning – establishing a purpose beyond the curriculum content where students can be compelled to engage in the classroom learning. This is a fundamental element of a concept-driven curriculum and inquiry-based learning. The statement of inquiry for our Year 8 language and literature unit was ‘storytelling is about old stories for new times.’ Our MYP concepts were communication and audience imperative, and our global context was orientation in time and space. We sought to engage our students in poetry and Shakespeare learning through the lens of storytelling and how poetry and plays are a form of sharing stories that has spanned centuries. After reflection on the previous teaching of this unit we decided to follow the thread of connection to nature and the land and the supernatural and intangible elements of Shakespeare’s play A Midsummer Nights Dream. The poetry we engaged our students in was Indigenous themed to match the Shakespearean themes throughout the Shakespearean text. In previous years we had struggled to engage students respectfully discussing Indigenous poetry so we knew we had to first and foremost start from a level of respect towards Indigenous ways of living, spirituality and connection to the land, and also compassion towards the turbulent history of our Australian Indigenous population. After collaboratively planning the skeleton of our inquiry cycle, culminating task and timeframes we then independently planned in depth specifically for the students in our classes. In order to engage the hearts of my students I decided to start examining connections to land and a brief look at the stolen generation by unpacking the story of The Rabbit Proof Fence, the true story of three courageous young girls who manage to escape Moore River Settlement after being kidnapped from their mother. I decided to conduct a class modified version of a Johari’s window that allowed us to examine 1) the known – what we already know, 2) unknown – questions we have, 3) our feelings towards the stolen generation and 4) possible reasons for the stolen generation. 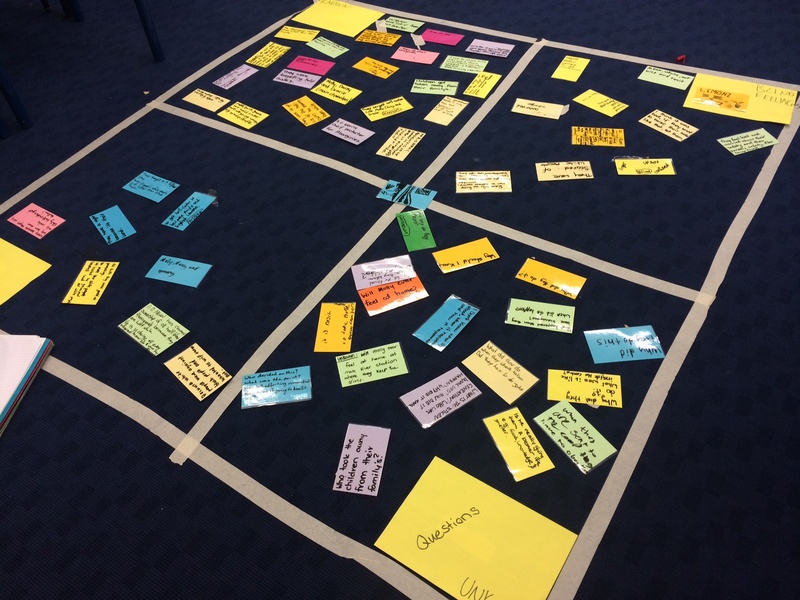 Our quadrant of ‘questions’ and ‘feelings’ started off quite full, but as we watched the film, engaged in classroom discussion and investigated, our ‘reasons’ and ‘known’ quadrants began to grow as students added their own squares of knowledge to our modified Johari window. Using the classroom space in the center of the classroom allowed students to effectively collaborate by sharing their investigation, thoughts and opinions, and debate and ask questions of one another. As a teacher I was able to simply step into the background and listen to my students peer teaching one another. I only intended to show several snippets from the film and read portions from the original book Follow the Rabbit Proof Fence by Doris Pilkington, however my students curiosity and questions led us in a direction of watching the film in length and conducting independent research into the causes and impact of the stolen generation. Through the student’s independent inquiry, I was also able to establish deeper understanding of the power of storytelling and how old stories are still relevant and meaningful for new times as they can help us understand present situations. A powerful element of the film The Rabbit Proof Fence is historical character Mr. A. O. Neville’s misguided attitude and sincerity towards his mission to resettle part-Indigenous children at the infamous Moore River Settlement. The students came to the conclusion that although what he was doing was very wrong, because of the time in Australia and the viewpoints of many people at the time, Mr. A. O. Neville genuinely thought he was doing the right thing and with a martyr-like attitude followed this cause. This allowed me to steer the class conversation back to our global context for this unit, orientation in time and space. Discussion around the global context led us to think of and discuss the past, present and future and we came up with a class provocation: what do we accept today, that in 50 years time will be unacceptable? Such a powerful and poignant question for year 8 students to think of. We revisited this question throughout the units learning and this was a point for questions, discussions and continual reflection. This also gave students ownership of their learning as it was their own question that stemmed from their curiosity. This took a total of four lessons and by allowing the students questions and curiosity to steer the direction of our learning I had managed to “hook” my students into our curriculum content. We were then able to launch into the nitty gritty of poetry techniques, poetry analysis and application of knowledge in the form of an original poem. The student’s poems reflected empathy and respect – our initial goal set during collaborative planning. Then through the concept of storytelling and audience imperative students were introduced to the fabulous works of Shakespeare and we taught the features and purpose of script writing before beginning the translation of Shakespearean text into a modern setting – thus initiating a new audience imperative and providing students opportunity to inquire into our statement of inquiry: storytelling is about old stories, for new times. From the class Johari window-style activity and development of our own debatable/provocative question that we revisited multiple times throughout the unit I learnt the power of tuning in effectively and that inquiry-based learning really is a teacher partnership with the students. To effectively inquire and collaborate, one must not lead from the front, but rather walk alongside. Although lesson time that doesn’t explicitly address ACARA and lead directly to the culminating task may at first feel a little excessive, it really is crucial for student engagement, a concept-driven culture of learning and deep inquiry-based learning. This is very inspiring Laura. For the firs time last year, after a workshop I began unpacking the SOI at the beginning of each unit.I was wondering how long was this unit?